Operates Daily - Confirm times with your booking agent. Do the night tour to see how the city comes alive at night. But if you don't want to stop at a bar, opt for the day tour. We are comparing Cultural Faro 90-Minute Segway Tour Prices from leading ticket suppliers and Try to find you Cheap tickets prices on the market. Faro is the capital of the Algarve and boasts a lively old town center filled with shops, bars, galleries, and museums. In terms of sightseeing, the city has Largo da Se, an 18th century Jewish cemetery, the 18th century cathedral of Paço Episcopal, Sao Pedro Church which contains a beautiful baroque alter, the city archway which is built in front of the medieval castle, the arabesque Arco de Repouso and more. Pretty in the daytime but the city really comes alive at night with a display of colorful lights making the city seem rather magical. A unique way to see the city of Faro! Great if you're a culture vulture who loves sightseeing but hates walking! A great way to see the city if you're short on time or just arrived and want a quick overview. Suitable for the whole family, kids can ride their own segway if they weigh over 20kg. Your Experience With Cultural Faro 90-Minute Segway Tour? Enjoy a 90 minute segway ride through the streets of Faro's old town as you pass by the most important monuments and attractions in the city in a very unique way. See sites such as the 18th-century Jewish cemetery known as Largo da Se, the arabesque Arco de Repouso, the 18th century Paço Episcopal cathedral, Sao Pedro Church, the 19th century City Archway, and more. Take in the lively streets as you pass by the cities shops, restaurants, bars, museums, and galleries - If this is your first time in Faro it really helps you get your bearings and you can ask your friendly guide for tips and recommendations as he explains the culture of the city and what you are passing. If taking part in the night tour where you get to see the beauty of Faro as it gets lit up at night, you'll stop at a bar at the start and end of the tour for a cocktail and enjoy a laugh with your guide and the other members in the group. What Cultural Faro 90-Minute Segway Tour Includes? A 90 minute segway tour around Faro old town. A helmet and insurance are included for your protection. Instructions will be given on how to ride the segway before the tour starts. A local guide will take you around the sights, explaining the culture of the city. If booking the night tour with Viator you can enjoy 1 non-alcoholic cocktail before the tour and 1 alcoholic cocktail after the tour with your guide and the other participants. 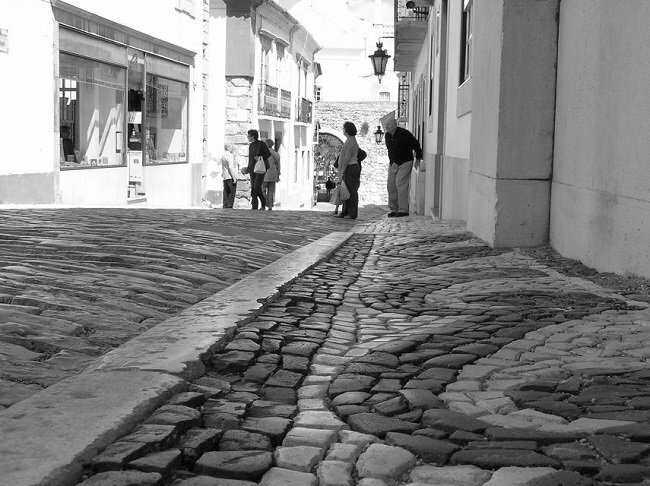 Be prepared for the ride over bumpy cobblestones! Travelers Reviews about Cultural Faro 90-Minute Segway Tour? Travellers give this tour top ratings on TripAdvisor, GetYourGuide, and Viator and highly recommend it to others saying that they thoroughly enjoyed their segway cultural tour. People who had never ridden a segway before say that it was easy to master and their guide made them feel comfortable and confident. Everyone said that their guide was great - Really friendly and chatty, funny, and also informative. Travellers have used the following words to sum up the tour: 'Great Fun', 'Super Tour', 'Worthwhile'. Printed tickets and e-tickets are accepted for this tour. Carry your belongings in a backpack for ease of movement. Duration: Half Day – Approximately 5 hours. Boat trip takes approximately 45 minutes each way.